The MOMS Club is an international nonprofit support group established in 1983 by Mary B. James in Simi Valley, California. Today there are over 2,100 chapters and over 100,000 members in the United States alone! As a member of the MOMS Club of Rockford you'll be part of a wonderful community of welcoming and and supportive Moms and their families. Our club features a variety of activities for Moms and kids to do together while making friends and enjoying some time out of the house! Each month we have a packed calendar of events. Unlike other clubs, there is no minimum or maximum number of events to attend. We also feature a private Facebook page which includes our events and information on our club. Plus the Facebook page serves as a forum for our Moms to chat, share and ask for advice. Any full or part-time stay at home mom living in Rockford, Winnebago, Cherry Valley, Loves Park, Machesney Park, Caledonia, Poplar Grove, Rockton, Roscoe, Byron, Winnebago, South Beloit, or Belvidere is invited to join our group. Our yearly dues are $25, which goes toward supplies, service projects, and programs. We will never turn anyone away for inability to pay. Prospective members may attend two public events before joining. "I joined MOMS Club when my first baby was 6 months old. From the very first playdate I was hooked! I remember walking into the play date feeling nervous, just to be welcomed with huge smiles by moms that were just like me! I have made many close lifelong friends already. I cannot imagine my life without the club. I look forward to fun events each week and love watching my daughters play and interact with their friends. My oldest is 3 right now and goes on and on about her best friends in our MOMS Club. 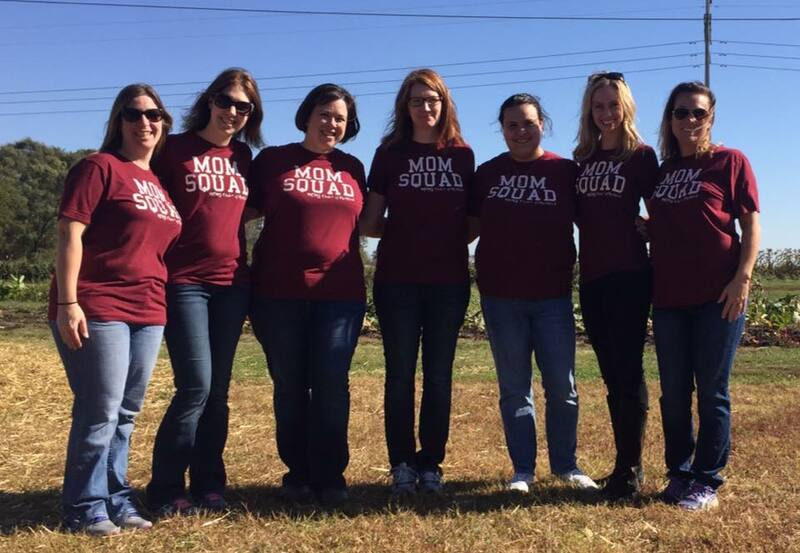 I am so lucky to have found this group of moms." "This club as been a game changer for me!! We are hours away from everyone we know and family, and I had a newborn...I had no one until I took the plunge to meet other moms! Life saver!" "I joined MOMS Club because I had no idea what to do with a baby. I was on bed rest the majority of my pregnancy and one day I googled "what to do all day when you stay at home with a baby". Join a moms club came up and that's how it all started. I was membership Vice President and then president. I never imagined having so much fun and making wonderful friends for myself. In the beginning I just wanted my son to be social." "I joined MOMS Club because we have a very social baby who loves being with others, especially kiddos. Also our family is in the suburbs so it gives him (and us) friends to see and new places to explore in Rockford. What I love the most is that I don't feel lonely. The moms in this group are very supportive and whatever you and your child are going through, someone is going (or has gone) through the same thing and wants to help! I've only been with the group a short time but have already gained very good friends and a place my son and I feel happy and comfortable to learn and play." "I was new to Rockford and to motherhood when I joined. MOMS Club was a godsend for me. It was the community and support I was searching for. It definitely helped me transition out of PPD. It's a place to be social in a safe, loving, and encouraging environment with moms going through the same things. I don't know what I would do without it."